Metabolic Leader offers the oldest and most comprehensive Lipid Clinic in the state of Maine. The Lipid Clinic was initially founded by Dr. Leonard Keilson. After the untimely death of Dr. Keilson in 2009, Dr. Babirak, who had worked with Dr. Keilson in the past, volunteered to preserve the Lipid Clinic consultation services. The Lipid Clinic is available to diagnose and treat genetic diseases associated with defects in lipoprotein metabolism in patients who are unable to be treated with standard medical therapy or who have other diseases which contribute to their high cholesterol and/or triglycerides. We utilize lipid testing in highly specialized lipid labs in various parts of the country. We also have a Diabetes Clinic for those patients who have diabetic hyperlipidemia and require specialty treatment. 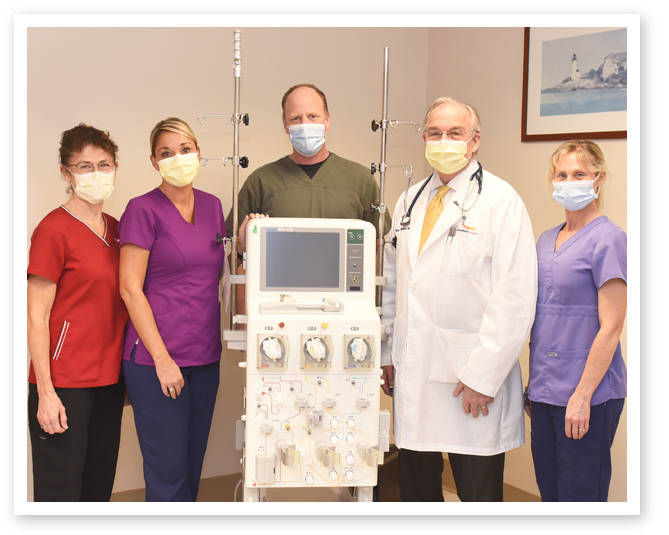 The Leonard Keilson Apheresis Unit is one of the nation’s largest LDL apheresis units and part of the Metabolic Leader facility. LDL apheresis is a technique designed to remove LDL cholesterol directly from the blood by a special machine and is reserved as a treatment of last resort to those who are unable to get to lipid lowering goals by standard medical therapy. Each patient who is referred to the Lipid Clinic is seen by Dr. Babirak who has over 40 years of experience in lipoprotein research as well as over 27 years of clinical experience in treating patients with lipid disorders. Dr. Babirak’s advanced training was at the University of Washington in Seattle, which is one of the most renowned Lipid Clinics in the world. This was followed by his experience in running Lipid Clinics at various institutions, including the military. Metabolic Leader Providers are committed to working closely with Primary Care Providers to ensure your total health. If you would like to become a patient at Metabolic Leader, please contact your primary care physician for a referral to our office. This will permit consistent and clear communication between our providers and your primary care physician resulting in the best care possible for you.